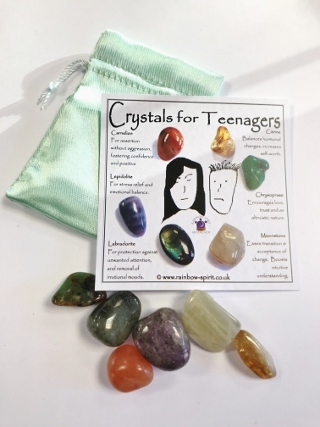 A set of crystals (Citrine, Chrysoprase, Carnelian, Moonstone, Labradorite and Lepidolite), carefully selected to complement each other and to ease the passage through puberty to the wonderful Teenage. 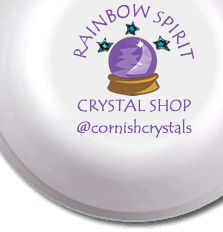 The set includes the six stones and a pouch, and comes as a set with an 8x8cm card print of Beth's poster, showing information to explain each stone. This is one of our 'stock' items, so the photograph is an example of the set we will put together for you.